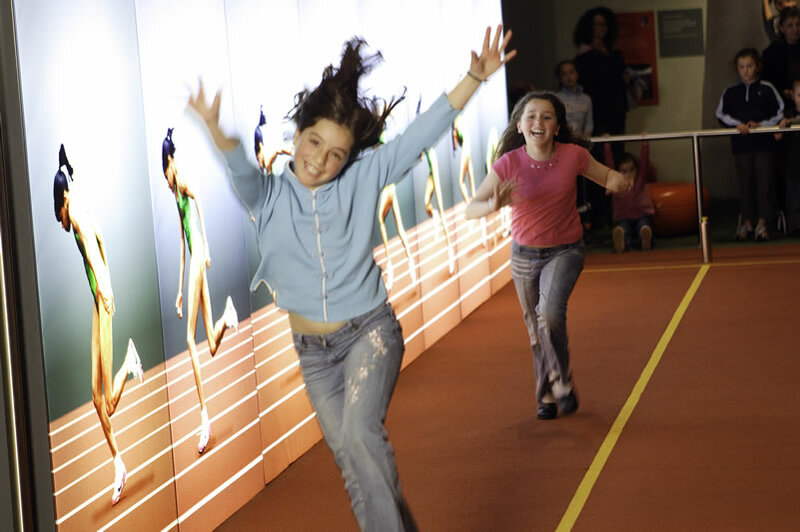 Sportsworks is a place to leap, run, throw and row. You can race against Cathy Freeman, try out for soccer goalkeeper, and zoom down the slopes in our snowboarding simulator. You'll also find out why sports have their own specialised footwear, balls and other gear. Pit your skills against some of Australia's best-known sportspeople and investigate your body's abilities for particular sports. Are you tall? Flexible? Can you jump high, run fast or react quickly?